Where is this taking place? Checked through the thread and couldn't see a location? RikTheChief wrote: Where is this taking place? Checked through the thread and couldn't see a location? At the club - Tuesday, July 28th. 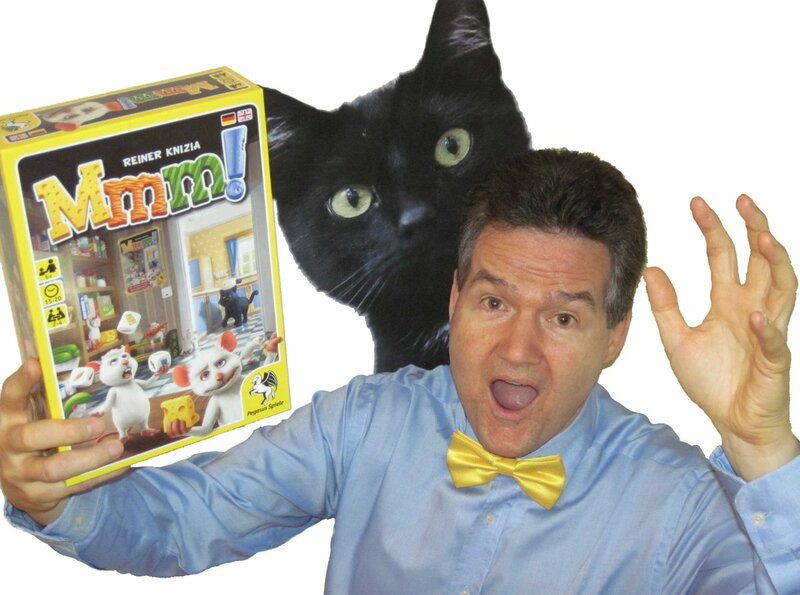 I've just seen my new favourite picture of Mr. Knizia. Shame we don't have a signed version of this to give away. Jon - will you need any help with the admin on the night or is it all under control? Great flyers by the way! PaulG wrote: Jon - will you need any help with the admin on the night or is it all under control? Great flyers by the way! Cheers Paul. I think were ok on the night as all we really need to do is get people to fill in the score cards when they finsih a game and collect them all together. A few of us can then get together another night (be great if your up for doing that) and work out the scores etc which we can then post here for people to start chossing there prizes ! It just means that no-one misses out from playing by having to do the admin on the night, downside is people wont find out on the night who gets prizes but Aneurin for one doesnt seem to care about winning games anymore hes now 100% focused on being crowned 'best bow-tie' by the man himself !! Im not around for a few weeks so Anuerin will bring down your prizes. Rik, Anuerin also has your bowtie so expect to see a tweet with you both wearing them ! Its fun when we play together !! and heres the full leaderboard in all its glory, note to self.....mmm maybe you should of drank less and played more ! Yep, and you also got through a lot of games on the night! Sounds like it was a great night, nice work Jon. I would totally have won the bow tie competition as my other half makes them (place orders via PM or in person!) but no doubt about worthy winners. Except Aneurin. Really like Ingenious, Ra was interesting, thought the car game was a bit odd. I won't be down this Tuesday as I will be in London volunteering for the Great british Beer Festival and trying to drink (my not unsubstantial) weight in real ale.